Club soccer season is right around the corner, and the players are doing their part to get ready. What about their coaches? Snap! 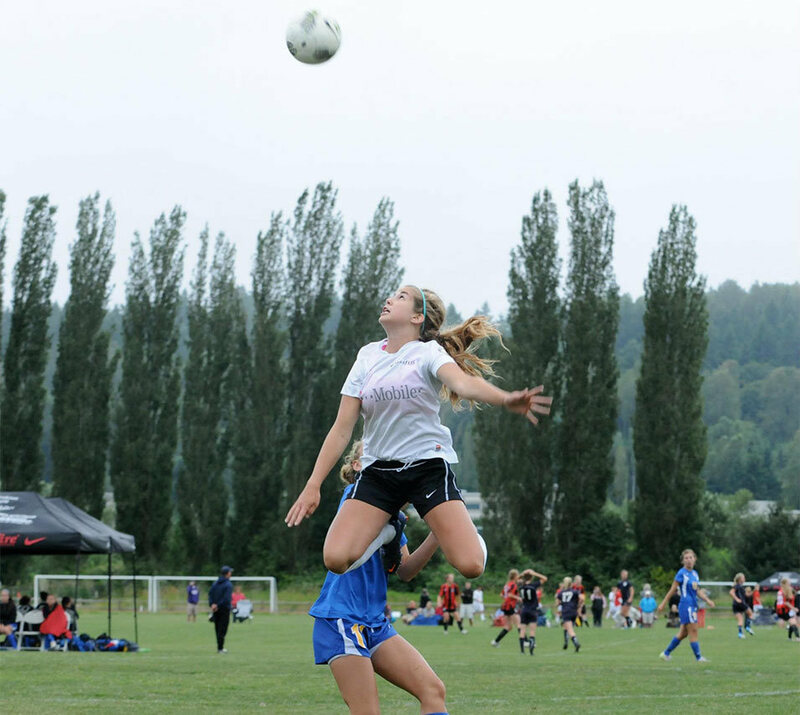 Raise Community Relations Specialist and eight-year club soccer veteran Riley Brown offers her checklist for helping soccer coaches navigate the start to the season. It goes without saying that from a player’s perspective, tryouts are among of the most stressful times of year. However, they can be just as trying for coaches. Athletes work so hard in the offseason to make the team they think they deserve to play on, and often they do. But every year you have to deliver the news to a few players that they did not make the team. As a coach of a younger team, that can be a hard conversation to have. All I can promise is that as your athletes grow up, so does their emotional maturity, and when handled sensitively but directly, cuts give young athletes the opportunity to build resiliency. I cannot stress this enough: team bonding before the season starts is absolutely critical. You cannot expect your athletes to work well together on the field if they are not close off the field. After all, it takes truly understanding a person off the field to understand their soccer mind, as well. Every player is unique and brings something special to the team; that’s why they’ve been selected. Your athletes will start to develop trust before they even play a game together, and it’ll only build from there. Team dinner or any kind of shared activity are great places to start. During that time, keep the soccer talk to a minimum and genuinely try to get to know the individuals you are coaching. They’ll appreciate you for it, and that heightened level of trust and comfort will help on the field once the season starts. Click to see how one first-year soccer coach achieved a program-best season. The first practice sets the tone for the rest of the season. Though that reality may seem daunting, it presents a great opportunity to set a positive tone and a high bar for the season and for your players. A great place to start is by laying out conditioning expectations for the whole season. I had a coach that would always tell us, “as hard as you think it is, you’ll wish it was that easy.” Those words hit me hard and have stuck with me to this day. He repeated this mantra constantly – before practices, tournaments, games, and conditioning sessions we didn’t think would ever end. However, it was never to discourage us; he just knew that we were capable of so much more. Slowly but surely, we developed the confidence and mental toughness we needed to carry us through the season, and it all began with that first practice. Once the season starts, you’ll identify specific skills your team needs to work on. Setting a tentative schedule for practices will make your life easier – just be sure to allow room for little changes based on specific areas that need work. However, defaulting to your go-to drills is never a bad thing. Don’t feel like you have to switch it up just for the sake of switching it up. If a drill is actually making your players better, keep doing it. Your players aren’t the only ones that can improve throughout the season. Communicate with other coaches to see how they structure their practices and training sessions. You never know when you might learn something new. Ah, the “F” word. Fundraising before the season starts is so much easier than trying to plan your fundraiser around practices, meetings, games, tournaments, and travel. It can be easy to forget, but your athletes have school and family obligations to think about, as well. When I played club sports, we washed way too many cars and had way too many auction dinners that took valuable time away from school, family, and practice. At the time, I didn’t realize that fundraising didn’t have to be a pain. Snap! Raise is built to help teams like yours achieve their fundraising goals – with less effort than ever before. With Snap! 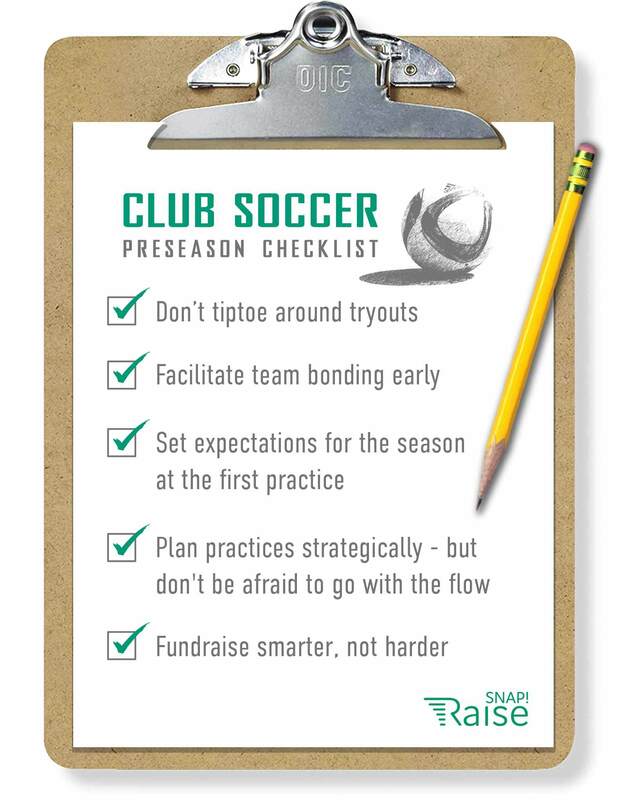 Raise, you can run your soccer fundraiser before the season starts, and still have time to plan your practices and focus on the upcoming season. Your personal Snap! Raise fundraising campaign director will get you on-boarded and rolling in no time, ensuring an effortless fundraiser that keeps you focused on coaching. Steps 1-4 are up to you. But step 5 can be a breeze with the help of Snap! Raise. Start fundraising smarter today for your soccer team! Riley Brown is the Community Relations Specialist with Snap! Raise. Before going on to earn a degree in journalism and communications from the University of Arizona, she dedicated eight years of her life to playing soccer at the middle school, high school, and club levels, which didn’t leave much time for anything else.